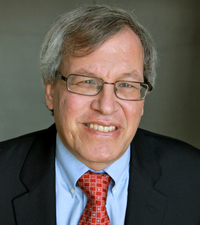 Erwin Chemerinsky is co-author of Free Speech on Campus (Yale University Press, 2017) and Jesse H. Choper Distinguished Professor of Law and dean of the UC Berkeley School of Law. He presents a lecture about free speech controversies based on concepts in his book, followed by Q/A, book sales, signing, and book raffle. Hardly a week goes by without another controversy over free speech on college campuses. On one side, there are increased demands to censor hateful, disrespectful, and bullying expression and to ensure an inclusive and nondiscriminatory learning environment. On the other side are traditional free speech advocates who charge that recent demands for censorship coddle students and threaten free inquiry. In this clear and carefully reasoned book, Howard Gilman, a university chancellor, and Erwin Chemerinsky, a law school dean—both constitutional scholars who teach a course in free speech to undergraduates—argue that campuses must provide supportive learning environments for an increasingly diverse student body but can never restrict the expression of ideas. This book provides the background necessary to understanding the importance of free speech on campus and offers clear prescriptions for what colleges can and can’t do when dealing with free speech controversies.